We are so looking forward to working with you and your family, and appreciate you choosing us to work with your family. The privilege to be let into the lives and homes of the families we work with, and to interact with their children and watch them grow, is one that we don't take lightly. 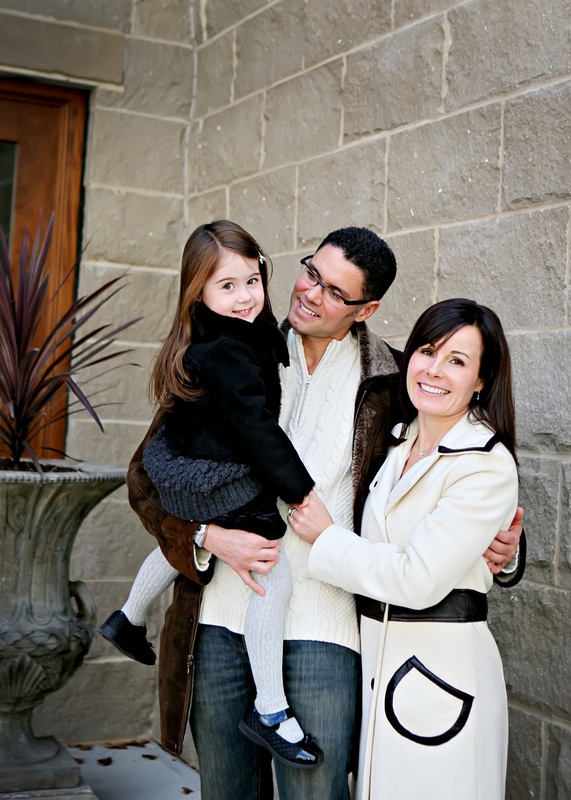 Since our inception in 2007, we've photographed hundreds of families... many year after year. We hope you'll find what we do to be in perfect alignment with how you wish to document your children. If you have any questions at all, please don't hesitate to be in touch. Please scroll down for all of the information you'll need about our sessions, as well as the calendar to book your date & time. Please be sure to nail down a date with us before booking on the calendar. Travel beyond 30 miles of our home base. Ashley is happy to travel to your location, and will calculate the nominal travel fee based on distance. Prints or products, which can be added on after your session. Please click here for information & pricing on our product line. By far, our favorite locations are our clients' homes and yards. These sessions are personalized, meaningful and impossible to be duplicated! Your home does not need to be a pristine, sprawling mansion by any stretch. We have worked in hundreds of homes and know how to find nooks with beautiful light and neutral backdrops. Your home also is comfortable, familiar place that makes it easier for little ones... especially those who are very shy... to warm up. When working outdoors, our "wide open" style of shooting creates a blurred, three dimensional background that turns even the most average backyard into a kaleidoscope of color. Home is also a great setting for lifestyle type sessions... think reading a book, playing a game, or including your child's bedroom or your family pet. See some examples of sessions done in our client's homes and backyards. When it comes to on-location sessions, there are certain elements that we look for, including beautiful light, simple backdrops and easy accessibility. Often times, large locations with lots of interesting elements are too crowded, overstimulating or spread out to work for our little subjects. After nearly a decade of working in almost every spot imaginable throughout the Capital District, we are well versed in what locations work for our purposes. If you're looking to shoot on location, we'll ask when you book your session what feel you are looking for (see some visual ideas below!). Based on your preference, we ask that you trust our professional judgment and experience to select the perfect location for your individual session. Should you wish to shoot on private property, we ask that you secure appropriate permissions before our session. Park-like locations tend to include manicured grounds and gardens, along with varying degrees of architecture (ex: Washington Park in Albany, Central Park in Schenectady, Congress Park and the Hall of Springs/State Park in Saratoga, various college campuses). 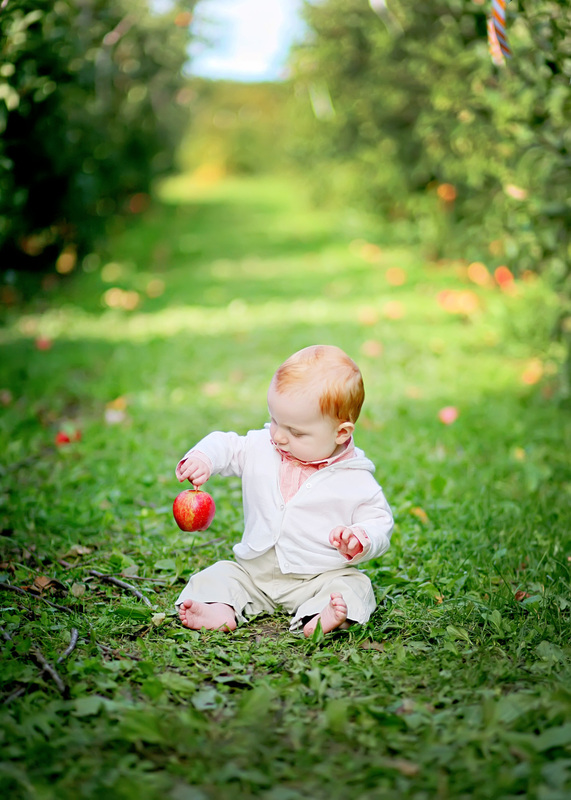 Locations that emphasize nature feature fields, woods or orchards with little to no architecture, and create neutral images with soft foliage backgrounds. (ex: Kinns Rd. park in Clifton Park, Shenentaha Park in Malta, Tawasentha Park in Guilderland, Halfmoon Town Park in Halfmoon, nature preserves, bike trails, apple orchards). Rustic locations feature fields, fences and farm buildings (ex: Pruyn House in Loudonville, Shaker site in Albany, various working farms and fields). Urban/downtown locations heavily emphasize architecture and can range from modern, clean lines to brownstones (ex: downtown Albany, Troy, Saratoga, Schenectady). Most locations have "pocket parks" or green elements throughout, and create images with lots of variety and texture. We know figuring out what to wear is one of the most stressful parts of booking a session, and we have to say, it is important. The right outfit elevates an image from so so, to one that looks timeless, coordinated and intentional. Wardrobe is very dependent on the location of your session. What works at home doesn't necessarily work in a rustic location or a modern, architectural spot. We'll provide you with specific guidance based on where your session will be help. In the meantime, check out our Pinterest board for tons of ideas and tips. A day or so prior to your session, we’ll get in touch to firm up last minute details and directions/a meeting spot (if shooting on location). ILLNESS - If your child is sick or otherwise under the weather (like a rough teething period), please let us know so that we can reschedule. They will most likely be unhappy and will definitely not look like themselves, so in order to achieve those beautiful images, rescheduling is crucial. We understand the desire to "power through" at times due to scheduling constraints, but it is very important that we reschedule if your little ones aren't feeling their best. WEATHER - Sunshine is a key ingredient in the bright, crisp images that we are known for. This isn't to say that every day we are shooting outdoors needs to be a perfect ten, but there are some weather conditions that are not conducive to shooting outdoors - rain, high winds, bitter cold, etc. If we are planning to shoot outdoors, we will make the call on weather (if the forecast is looking iffy) the night before or the morning of your session. Please trust our judgement when it comes to determining if the weather is suitable for outdoor portraits. If it's not a go, we can either change our location to your home, or reschedule. If this is your first custom portrait session, you may be unsure what to expect. Even if it isn’t, you may be nervous based on past experiences, or about how your kids will act. Our single biggest, most important tip: relax. A portrait session is an investment, and especially when young, unpredictable kids are involved, its completely normal to be apprehensive. We know that this isn’t something you do every day, and you want the session to go perfectly and result in beautiful, true to life images of your family. Almost nothing phases us, and you’ll be amazed at how quickly and efficiently we work. Here are some things you can expect with each age group. The flow of your session will be determined by your perfectly unpredictable, unscheduled little one! For most newborn sessions, 90% of the time is spent doing everything else but shooting... soothing, feeding, changing, etc. We expect to be waiting around, so please don’t feel rushed... breaks are more than welcome! Once baby is content, whether it be awake or asleep, the session moves quickly and easily. A full belly and a warm home are keys to success! Most sessions take between 45 minutes to 2 hours. Our newborns are photographed with a lifestyle feel, which means that we incorporate various areas of your home (nursery, master bedroom, outdoors, etc.) and photograph your new little one in a natural way... perhaps baby in their crib or cradle, wrapped in a soft blanket on mom & dad's bed, or in arms outdoors. Simple muslin blankets and/or knit/crochet blankets, bonnets and bloomers are perfect, understated accessories, as well as any meaningful or heirloom items that you wish to incorporate. 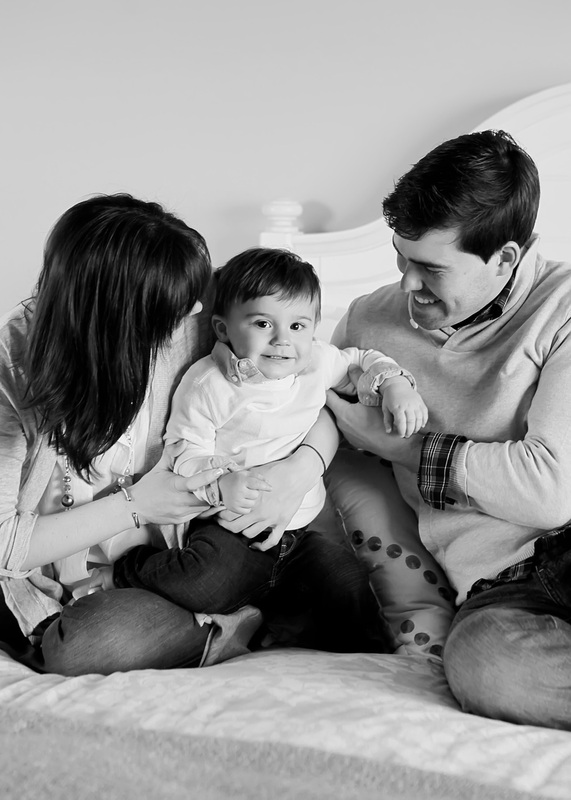 We try to keep these sessions are simple as possible to keep the focus on your baby, their sweet features, and the relationships within your family. With this in mind, we steer away from intricate props and forced poses. Between the newborn and walking stages, most babies (as long as they are well rested and fed!) are super agreeable, smiley and an absolute breeze to photograph. 6-12 months is a wonderful time to incorporate sweet outfits (or keep it simple with just a pair of bloomers!) and fun items such as wooden toys and books. If we are shooting in an unfamiliar place, they may be very enamored by the new sights and sounds. Its helpful to bring a neutral blanket along when shooting outdoors, as many babies don’t love the feeling of grass or will try be distracted by putting things in their mouths. If baby is going through a stranger anxiety phase, we’ll ask mom or dad to stand behind us to help elicit smiles. Be prepared for an active session! Toddlers between 1-3 are often much more interested in being on the go than sitting still... and that is ok! We adapt by capturing them in motion, or containing them on chairs, benches, etc. Even if you aren’t planning on any family images, its helpful to come prepared to be partially in some images,, as we may need to use mom and dad as a prop or “containment device”. Bribery for after the session isn't a bad thing by any means, but please avoid any snacks or candy during the session (chewing pictures or M&M stained teeth aren't ideal!). 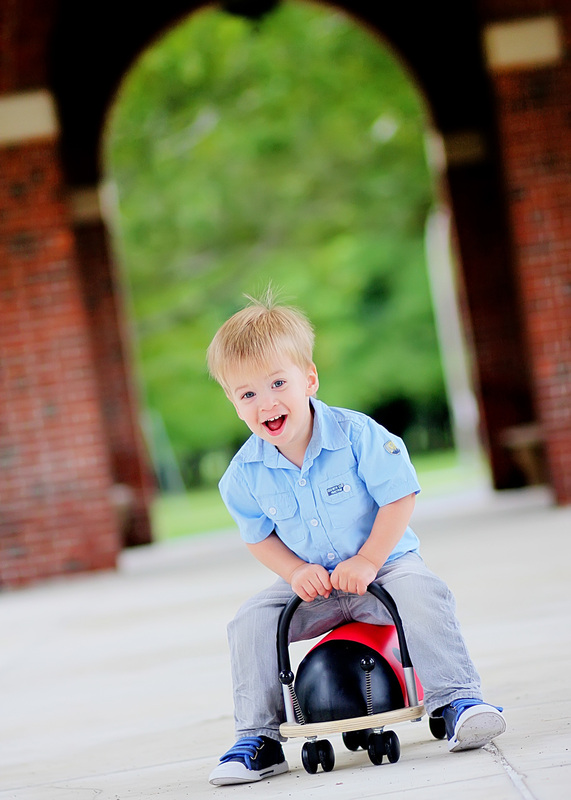 Bringing along your child’s favorite toy, lovey, a wagon, or bubbles are great ways to keep them still and occupied. Its not uncommon for the session to feel chaotic, especially when there are siblings involved, but rest assured that we shoot quickly and can capture even those brief glances and smiles. Each age group comes with its own wonderful aspects and challenges. We will gauge your child and take some time to get to know them, and then let mom and dad know if its best for them to stick close or to stay out of the child’s sight. Shy kids operate best with mom and dad close by, while elementary age kids to preteens often warm up best and give more natural smiles when mom and dad aren’t watching. Avoid threatening or asking your child to sit still and behave, give their real smile, etc. Most of the time it is best to let us interact with them naturally and how we feel is best (unless we ask you to step in). For kids who are old enough to follow commands, we usually employ some posing and positioning to ensure that the light and backgrounds are ideal. We guarantee our work 100%, and want you to be thrilled with your images. If we feel that we didn’t capture everything we needed to, for any reason, we’ll schedule a time for a complimentary follow up session. Being that we solely work with children, this is part of our job, so you never need to worry if we didn’t accomplish our goal in one swoop. A great deal of the work we do takes place after your session. We select the best of the best images and by doing so, ensure that every image you receive is a perfect 10, usable image... no throwaway shots with blinks, funny expressions or poor technical execution. We understand the desire to see all of the images from your session, but we feel strongly that a big part of our job is narrowing down the best images so that you don't have to sift through hundreds of outtakes. Any images that are not shown in your gallery are not retained, but trust us when we say, we wouldn't leave any fantastic images on the table! Our clean, classic editing process keeps your images looked polished while also looking realistic and timeless. All images are provided in both color and black & white. 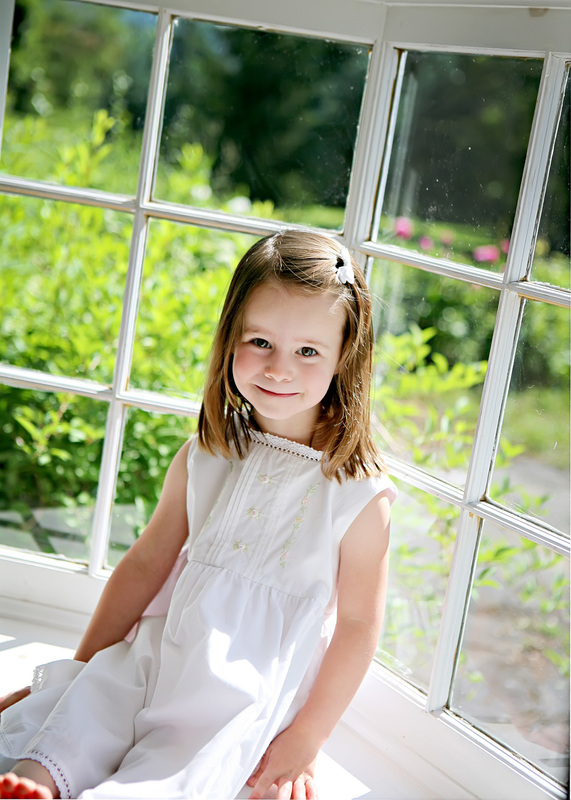 Your high resolution JPEG images will be ready to download within 2 weeks of your session date. Each client receives their own client site in which they (and any family or friends that you wish to grant access to) can instantly download their digital images and printing guide. In this day and age, many clients look for the ability to purchase digital images from their photographer. We believe that owning the digital images from your session is a wonderful and valuable option, and this is why we are pleased to include them in all of our session offerings. Digital images are an extremely economical option for creating small prints, multiple copies of prints, cards and photo gifts. It is important to keep in mind that when purchasing digital images, you are assuming the responsibility for the outcome of the finished product. Please be sure that you are willing to take the steps to ensure that your images are printed correctly (i.e. using a high quality lab, not a drugstore). Also, do keep in mind that like the hundreds of snapshots you have taken yourself, professional digital images often end up sitting dormant on a hard drive or disk. We hate to see that happen, so it is important that you take the time to print and enjoy your images to the fullest! By offering digital images to our clients, we are granting the ability for the client to reproduce the images countless times and retain all of the images from their session. Our digital images include both the color and black and white version, are high resolution JPEG files and come with unlimited printing rights (up to size 16x20). Each image is fully processed and edited with a fine tooth comb... not only for color/tonality correction, but also for skim blemishes, scratches, bruises, under eye circles, background clutter, stray hairs... the list goes on and on. We’re happy to accommodate image editing requests such a touch of digital “nip tuck” to make mom and dad look and feel their best. Clients also receive our comprehensive printing and usage guide, complete with our list of recommended vendors. Looking for some heirloom quality, larger prints for your walls? Or perhaps you'd like to use your digital images more for archival purposes and don't have an interest in printing on your own. Our beautiful wall portraits, available as custom framed prints or fine art canvas, are perfect for such purposes. If you are looking for such products, we highly recommend going through our professional lab to ensure the highest level of quality. As custom photographers, we strive to be as flexible and accommodating as possible with our clients. However, there are some policies that we have in place to ensure that all of our clients receive our full attention, and the very best customer service. Please take a moment to read through them thoroughly. Thank you! Like any other artist, the format and quality in which our work is presented is important to us. We retain exclusive ownership and rights to all images. Images may not be edited, altered or reproduced without explicit permission. Digital images are for personal use only. Commercial or editorial usage, sale, or entering images into contests or publications is expressly forbidden without written our permission. Your non-refundable deposit is due upon booking. Your time slot is not reserved until this time. Should you need to reschedule, your deposit will be held and applied to a future session if 24 hours advance notice is given (exception given for illness or emergencies). No show appointments forfeit their deposit. Should we need to cancel your session due to unforeseen circumstances, your deposit will be held or refunded at your discretion. You will receive a minimum of 25 fully processed JPEG images from your session. These are high resolution images, though the exact final size will vary based on cropping. Images that are not selected for proofing are purged and not available for viewing. Due to the nature of on-location sessions, we cannot guarantee certain images and use our artistic judgement to select the images presented. The remaining balance of your session (50%) is due upon receipt of your images. Cash, checks and credit cards are accepted. Prints may be ordered up to (1) year from the date of your session, and you may do so via your client site. Due to the custom nature of these products, please allow 4-6 weeks for delivery of wall portraits. Orders may be shipped or hand delivered, depending on the size and fragility of your products. Once the balance of your session is paid and your digital images are accessible for download, your order is non-refundable. Due to the custom nature of this work and the digital download system, no refunds will be given. Print orders are considered non-refundable once payment is received. Rest assured that all prints and products must adhere to our strict quality standards before being delivered. Please notify us to reschedule if your child is sick or otherwise not themselves (teething, etc.) as soon as possible. If you opt not to reschedule, are unable to reshoot a failed session due to knowingly sick children. Rescheduling/cancelling less than 24 hours in advance for reasons other than illness or emergency will forfeit your deposit. For outdoor sessions, we will make every effort to make the forecast determination as soon as possible, but sometimes we are unable to do so until a few hours before your session. We do not recommend hair or makeup appointments the day of your session for this reason. Thank you for trusting in our judgment regarding optimal weather conditions. We will make every effort to reschedule you as soon as possible for weather/illness cancellations, but dates are subject to availability. If we were unable to accomplish all of our goals of the session, a mini follow up session will be scheduled at the photographer’s discretion. If you are unhappy with the images from your session as a whole, you will be given the option for a reshoot or a full refund of your deposit. Please note that all images from your session will be purged and unavailable for ordering. Ashley typically shoots on Mondays, Fridays & Saturdays. Available dates can be found below. 9 AM is a placeholder time, and this will be determined based on our conversations, nap times, etc.